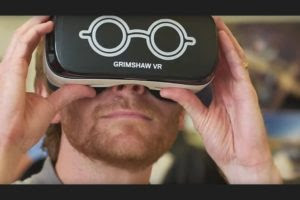 The UK AR/VR/Grasshopper User Group Meeting took place on February 21, 2019, at Grimshaw offices in London. Georgios Tsakiridis | Grimshaw | How does VR make a difference in the design process? Next meeting: The second Grasshopper UK User Group Meeting of 2019 will be at Arup’s Manchester office, on Thursday, April 4th. Details here. Posted Mar 04, 2019 by Carlos Perez on Rhino News, etc.